Age Categories, Start Times & Period Length: A minimum of 20 minutes must be allowed - between wrestlers matches, unless agreed upon by the coaches for a shorter time. Each Club’s director or designated person for that club will check in with the Tournament Director, inform the Director of any known NO SHOW wrestlers and pay for their team’s entry.Note:There are no refunds for no- shows – each club is responsible for full payment. All wrestlers must check in by the end of the Skin check-in time period to verify they do not have any contagious skin conditions. 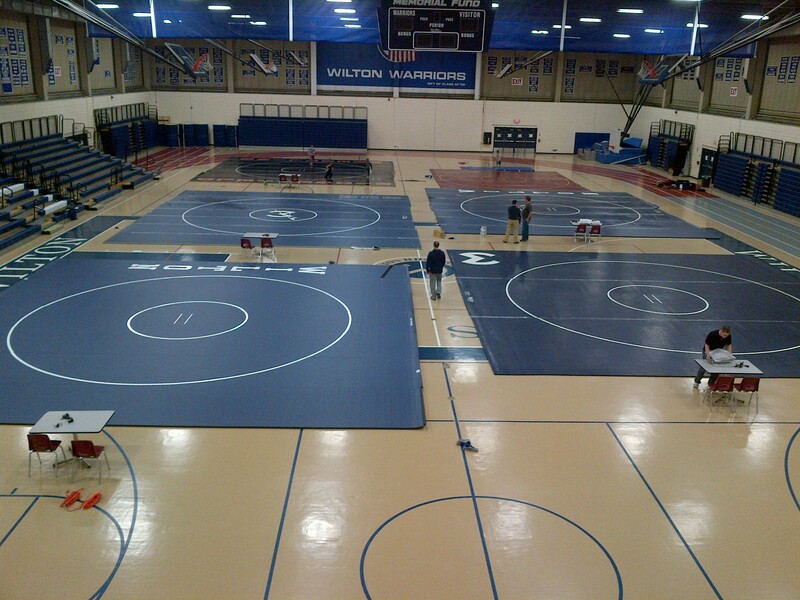 Wrestlers will not be admitted into the tournament if they are not checked in on time. It is the responsibility of the Club Directors, or the designated person for that club, to check with the head person running the Skin check in area to see if any of their wrestlers has not checked in by 8:15am for the morning session and 11:45am for the afternoon session. Notice: Head gear will be required for all age groups this is a USA Wrestling rule. Wrestlers who are not attached to a sanctioned club are requested to contact the nearest sanctioned club to register with or the Tournament Director. Out-of-state wrestlers may pre-register with the condition that they follow the same rules that USAWCT Clubs follow. Out-of-state wrestlers must be part of a club that has signed an agreement to follow our tournament rules and the club has provided the State Membership Director a copy of their wrestlers USA cards. USAWCT and out of state clubs must register on line by clicking on the following link http://www.usawct.org/tourny/clubmanagement.php and completing the necessary information and submitting that information to the Tournament Director no later than 10 PM the Friday of the tournament. There is no guideline on how early they may be sent. The Tournament Director will reply to your email confirming receipt of your registration. All registrations must be accompanied with a valid USA Wrestling card number for each listed wrestler. Last-minute USA Wrestling cards &/or numbers may be acquired by contacting their Club Director, who must make arrangements with the Membership Director PRIOR to the Wednesday before the tournament. Pre-registered wrestlers who do not show up for the tournament will be charged the full registration fee. The submitting club is responsible for this fee to be paid the morning of the tournament along with all the other registered wrestlers on the registration form. $3.00 admission fee / Free age 12 and under, or if you hold a current USA Coaches card. Wrestlers are permitted to only register and wrestle in one (1) bracket regardless of staying within their own age group or not. Any wrestler that violates the three (3) pound allowance will be disqualified and removed from that tournament, if the tournament director believes that this was a typo error, the wrestler can be re-bracketed. In addition, any wrestler disqualified as a result of violating the three (3) pound allowance will be reported to the State Chairman and that wrestler is to be identified (Flagged) on the web site and must be weighed in at every subsequent tournament to verify their weight. Weight challenges during a tournament are performed at the tournament director’s discretion. The tournament director must notify Dave within 2 days of any weight issues or challenges. When weighing-in, each wrestler must weigh-in wearing a competition singlet or shorts. The Code of Conduct Rules will be strictly enforced. From I-95 take Exit 15 to merge onto Route 7 North. From I-84 take exit 3 to merge onto Route 7 South. Wilton High School is 1.5 miles north of Wilton Town Center on Route 7, on the west side of Route 7. The Zeoli Fieldhouse is at the north end of the complex.